The table toppers saw their two nearest rivals meet on Tuesday night with Anstey Nomads getting the better of Melton Town. 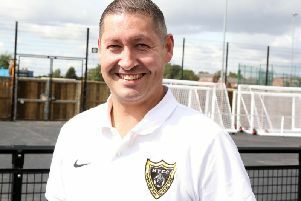 It leaves the Swifts one point clear at the top and with the knowledge that the trophy’s destiny is in their own hands. Not that boss Josh Dixon believes the job is made any easier for that. “People have been saying to me that it’s ‘in your own hands’ but we’ve just won six on the bounce,” he said. “We still need to win another five!. “If we do that and finish with 11 straight wins then I think we deserve to win the league. “But the fact it is still so close shows the quality there is within the three teams. 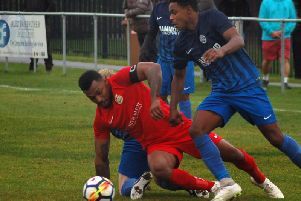 There are still some tough matches to come with the Swifts entertaining Melton on April 13 and going to town rivals Athletic on April 22. But Bourne this weekend comes first. Dixon added: “We’ve learned from Bourne before and can’t look beyond that. “There is a saying about the ‘Bourne Effect’ in the league – you never know when they are going to pop up with a big result.